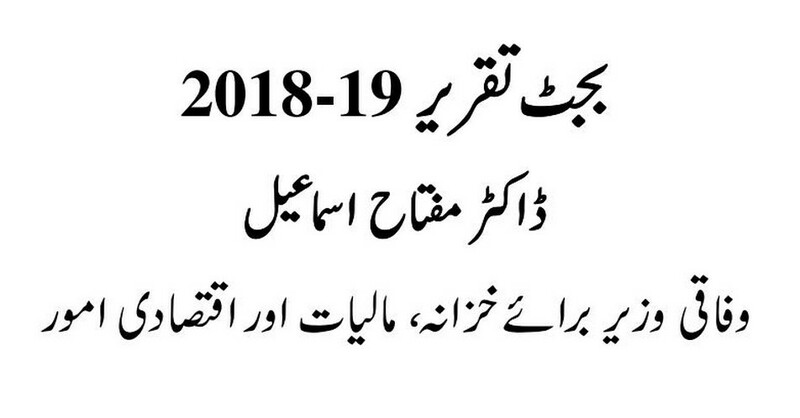 The federal budget of Pakistan fro he fiscal year 2018-19 has been presented today in the National Assembly of Pakistan on 27 April 2018 by Federal Minister for Finance, Revenue and Economic Affairs. The salient features of the budget include salary increase at 10% (ad-hoc relief 2018), 50% increase in house requisition / house rent allowance for both civil and army officials. Pension has also been increased at the same 10% rate. The minimum pension ahs also been increased from Rs. 6,000 to Rs. 10,000 and family pension will be now Rs. 7,500. The government has reduced ta rates for fertilizer sector, coal import, LNG and for agricultural sector. Govt. has allocated handsome amount of 35 billion for development of Karachi.